UT Administration of Daman & Diu has published Advertisement for below mentioned Posts 2017. Other details like age limit, educational qualification, selection process, application fee and how to apply are given below. M.Sc (Physics) and Ph.D (Physics) with First class or equivalent at Bachelor or Master level. M.Sc (Mathematics) and Ph.D (Mathematics) with First class or equivalent at Bachelor or Master level. M.A (English) and Ph.D (English) with First class or equivalent at Bachelor or Master level. M.Sc (Chemistry) and Ph.D (Chemistry) with First class or equivalent at Bachelor or Master level. Consolidated salary per month: Rs. 50,976 /- per month. The desirous eligible candidates may apply in the prescribed application format with details like Name of Candidate, Present Address, Phone I Mobile No. , Date of Birth, Educational Qualification, Experience, Domicile Certificate, Caste Certificate etc to the Assistant Director (Tech. Education) , Government Polytechnic, Varkund, Nani Daman- 396210 on or before 12-12-2017 up to 5.00 pm by Hand/Speed post/Courier etc along with one Passport size photograph to be pasted on the application with duly self-attested. 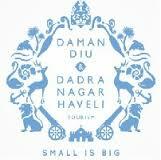 Application format is available on official website: www.daman.nic.in. A person already in service with Government / other organisation should obtain "No Objection Certificate" from concerned authority and enclose it with an application. The applicant who has submitted an application earlier doesn't require to apply again. The applicants are requested to log in to www.daman.nic.in for further updates. No interview call letters will be sent to the eligible candidate by post.